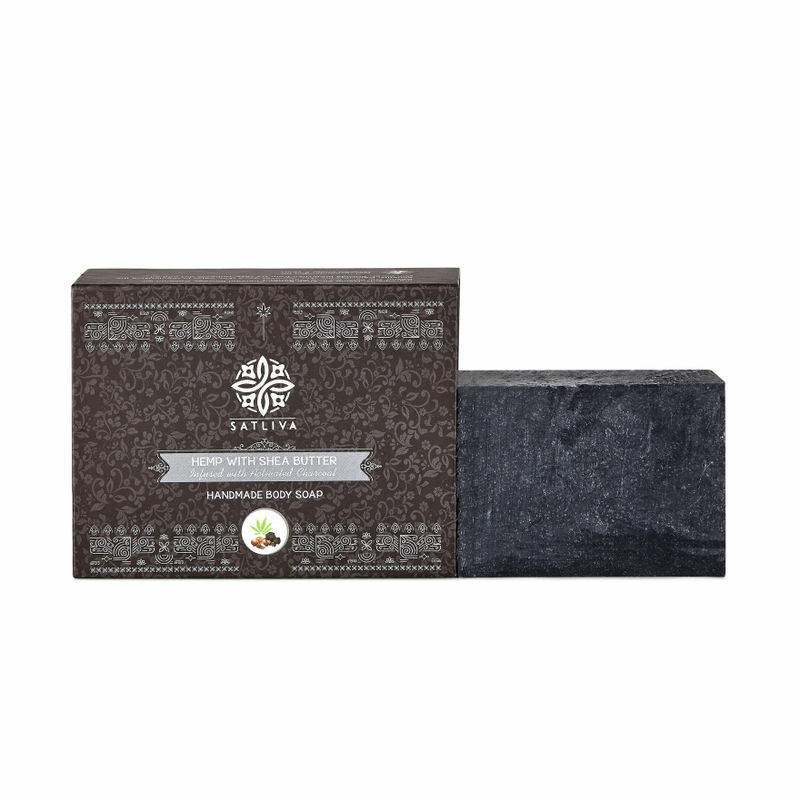 Satliva Hemp with Shea Butter and Activated Charcoal Soap Bar is a beautiful black soap with the invigorating freshness of peppermint essential oil. This soap has a rough texture and is teemed with the moisturising qualities of shea butter. Charcoal soap absorbs excessive oil along with dirt from the skin. It is also effective in the removal of dead cells, giving you a clean and flawless skin. This cleansing soap bar is also suitable for sensitive skin. Using the charcoal bar consistently on your face and body can reduce or eliminate acne and blackheads due to its exfoliating nature. It acts as a natural way to remove impurities from the skin, absorb oil and stimulate blood flow, resulting in a smooth, youthful complexion. Explore the entire range of Soaps available on Nykaa. Shop more SATLIVA products here.You can browse through the complete world of SATLIVA Soaps .